The field of medical technology is ever-evolving. With every advancement comes numerous benefits not only for clients and customers, but also for companies and service providers. Even better, with the services that are available nowadays, companies can ensure that their business processes achieve the highest level of efficiency without having to expand their internal employees. If you are a provider looking for services that will improve your workflow or an organization looking for means to improve your current process, it will be most advantageous for you to have a look at the business aspects that you can improve using the technology that is available to you. Investing on the right pieces of technology and the right services will have an impact on your short-term expenses, but it will also lead to long-term benefits. Here are some examples of complex tasks that you can simplify using the right healthcare management solutions. With these processes in place, you will be able to ensure that your practice runs as smoothly as possible, and that your patients will get the services that they need. 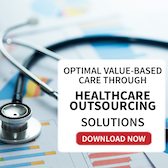 While the ultimate goal of healthcare organizations like yours is to provide high quality services that will keep the population in optimum health, the fact remains you’re your organization is still a business. For this reason, you need to effectively manage your finances. Medical billing is the backbone of your practice and it is important to ensure that you have reliable practitioners who has the necessary skillset to process your claims as accurately and effectively as possible. Working with industry specialists who will take care of your collections as effectively as an in-house group will allow you to focus on giving your patients the medical care that they need while ensuring that the back-end process that will keep your business afloat is well taken care of. In order to to provide the right kind of care, you also have to ensure that your database of records is consistently updated with the right information through enlisting reliable transcriptionists who will ensure that your records are error-free and accurate. These professionals will help you maintain your database and ensure that your future diagnosis have the right information foundation. It is not uncommon for organizations to outsource this aspect of their business process. However, in an effort to keep expenses to the bare minimum, most practices settle for subpar transcriptions that are often riddled with erroneous information and inaccurate data. Avoid making this mistake by ensuring that you only work with reliable contractors who have the right skill set for the job. This way, you will be able to ensure that your transcriptions are as error-free as possible and that your customers will receive proper care. A great database will also help your organization in the long run. With all the records available at your fingertips, you will be able to easily pull out client information, which you may the use as reference in the future. In today’s competitive landscape, patients tend to be loyal to healthcare service providers who go beyond clinic visits in providing them customer service. You have to keep in mind that the process of taking care of your clients goes well beyond the moment that they step out of your door. In order to boost your reputation as a care provider, you need to reassure your patients that you are with them in every step of the way. For this very reason, having a dedicated contact center through which your clients can reach you is now a business necessity. However, most practices do not have the necessary financial capital and infrastructure to put up their own team of client service representatives. 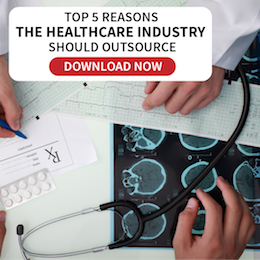 Through an outsourced healthcare contact center, you will be able to work with a group of professionals who will handle customer concerns on your behalf without having to expand your in-house team. This gives you peace of mind in knowing that all customer concerns will be addressed properly and that you will be helping your clients to the best of your capacity. The world of health and patient care is a highly competitive industry that requires investing on the right tools to get ahead. See to it that you use the best healthcare management solutions that will help you maintain efficiency of process for just the right cost. 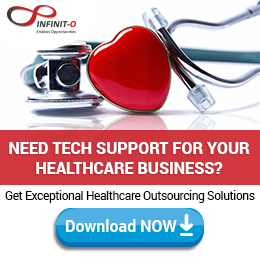 Infinit Healthcare offers a roster of services that can help your business focus on what it does best: provide optimal health care for your patients and the best working condition for your staff. Contact Infinit Healthcare and see how you can unlock endless opportunities for your practice.